By Mike July 5, 2017 July 5, 2017 Great Animation Clips!, Press Release, Promote Yourself! You can view the entire piece here. 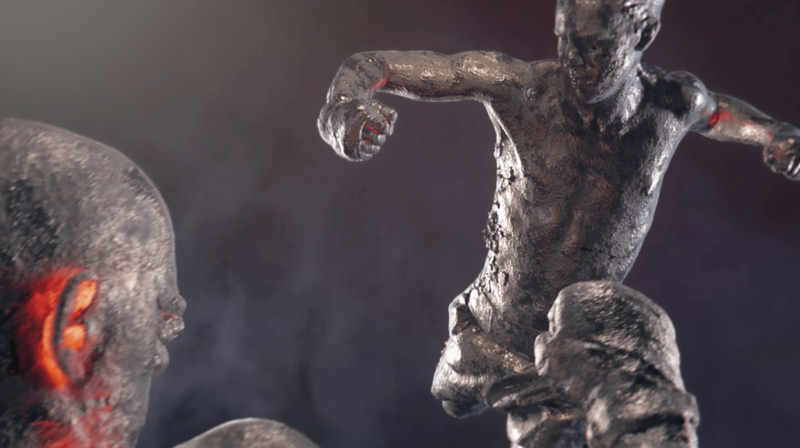 LONDON, UK – 12th May 2017 – With the release of its Statue project, London-based creative studio Saddington Baynes has created a frozen moment of a Muay Thai battle, utilising full-body 3D photo scans created in partnership with body-scanning experts FBFX. Saddington Baynes is well-known for pushing the boundaries of technical innovation in the creative industry, establishing its R&D arm SBLabs to showcase this in-house ability. 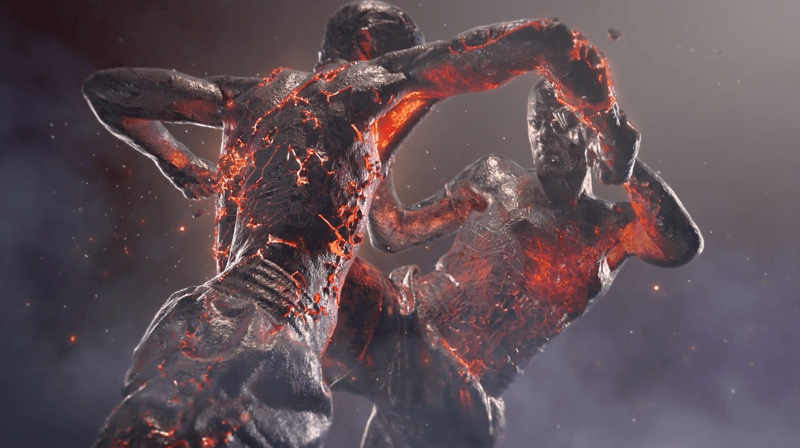 For Statue, SBLabs used advanced procedural displacement techniques, complex shaders and dynamic particle simulations to deliver a fierce fighting showcase. The results are already sweeping up accolades across the creative community, including a Platinum in the Creativity International Media & Interactive Design Awards. To achieve unparalleled detail required meticulous planning. SBLabs blocked out early concepts in Cinema 4D to explore strong poses and the choreography and to direct the camera path. 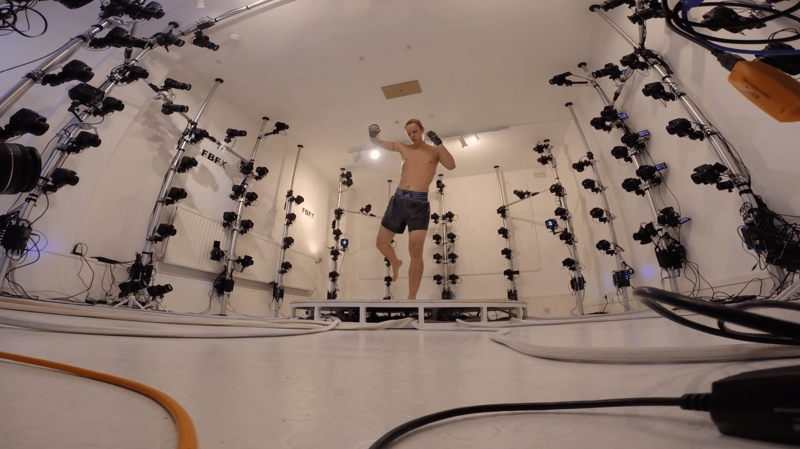 SBLabs then approached SFX costume and 3D scanning specialists FBFX, who captured key moments of the Muay Thai battle in live action, as one at a time the combatants jumped and punched and kicked, all the while being captured as high resolution point clouds and image maps from multiple cameras. Besides being martial arts enthusiasts, both models were actually part of the Saddington Baynes team – a Production Assistant and a CG artist! 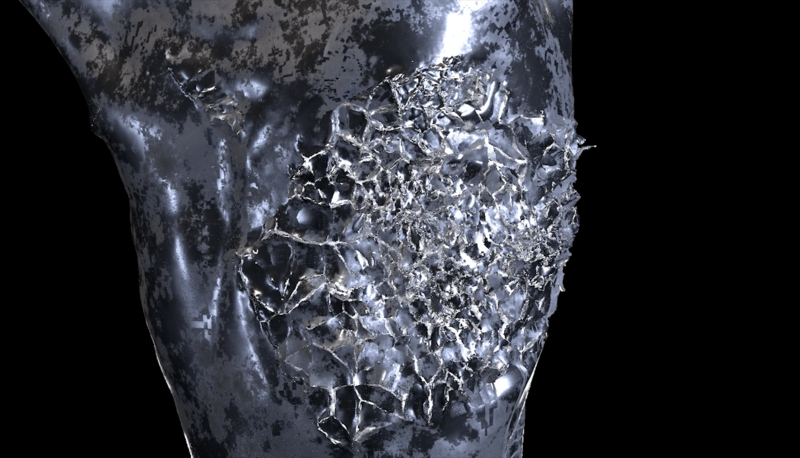 Alongside these scanned models, Statue also features complex Houdini simulations. 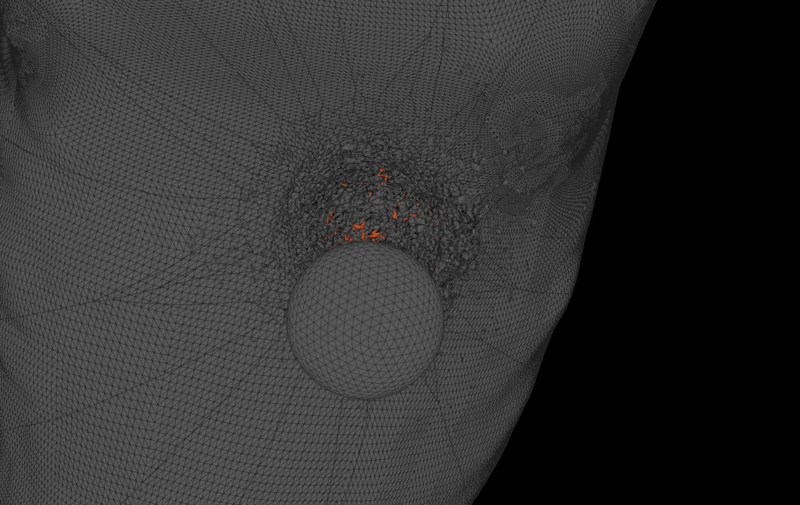 The models land blows on each other, cracking open igneous husks to reveal the searing heat below. SBLabs ran a series of customised fragmentation and tessellation processes on the geometry with look development performed in Mantra. Based out of London, Saddington Baynes has a long history of technical innovation. 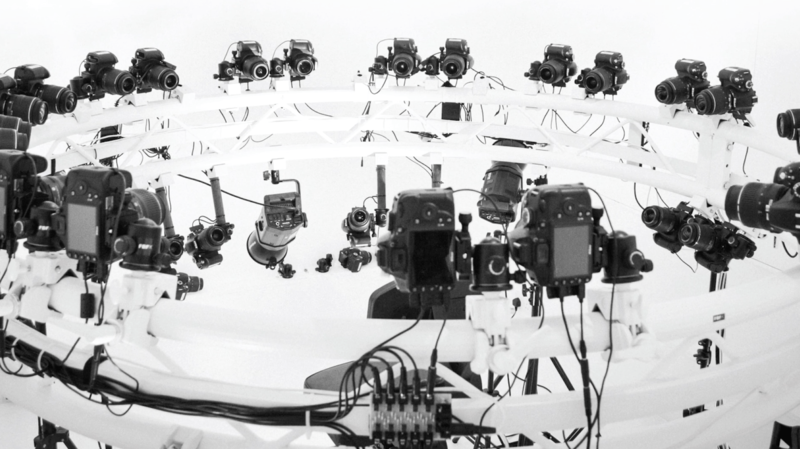 Besides being the original pioneers of digital retouching in 1991, Saddington Baynes were also one of the first production studios to harness the potential of CGI in-house. More recently, the team developed an Engagement Insights® service – the world-first use of neuroscience techniques to measure emotional impact of imagery. Recent commissions include Honda’s pan-European ‘Real View Test Drive’ campaign. Saddington Baynes is a leading creative production agency that has produced premium imagery for advertising agencies and brand clients for 25 years. Saddington Baynes’ mission is to create sensational imagery that inspires brand devotion, with a focus on emotional reactions and engagement. To achieve this, Saddington Baynes developed its Engagement Insights® service – an entirely new way to measure the emotional impact of imagery, using neuroscience techniques.